Yes, there is box jelly fish on Koh Samui and the rest of Thailand, unfortunately it's true, there's box jelly fish around Samui and the Gulf of Thailand and all of it's islands but also the Andaman Sea has it's share of box jelly fish related problems. Now to immediately calm everybody down, it's not an epidemic and chances for getting stung by a box jelly fish in Thai waters are rather small. However, it's better to be aware and prepared than to be totally unaware of what can happen and a little bit of knowledge goes a long way. Your first line of defense starts with a stinger or body suit but once you're stung, use vinegar on the wound. I've written fairly extensively about box jelly fish in Thai waters on my dive blog, please have a look here. Actually, this particular post makes up for the most viewed post on my dive blog and gets around 7% of all page views. You can also check the box jelly fish tag or label and see all articles I'e written about this topic. The doctors at the local hospital did not identify the sting as a box jelly fish, but over the next 3 weeks the skin on her leg died. Upon returning to the USA, doctors identified the third degree burn as a box jellyfish burn. I am going for a second surgery this Thursday to finish sewing up my leg. The sting went all the way through the fat tissue and the original stitches and wide 9 cm burn did not close. Over the years various sightings have been reported around Thailand. More specifically sightings have been confirmed around the Samui peninsula (at Sail Rock and Chumpon Pinnnacle among others) and I have personally shot pictures of a Morbakka near Pattaya and during a dive in 2003 one of my IDC students got stung by a box jelly fish. To this date he still has the marks from that sting. According to a friend of mine runs the Thailand box jelly fish blog states; Research into box jellyfish in Thailand is sort of but not really happening - there is awareness and acknowledgement in scientific circles, there is commitment but there is little money and minimal action. Still, there is slow forward momentum especially at a medical level though there's a long way to go. No clear picture has developed as to habitat and habits. The Australian experience is invaluable but the situation is different. It took many years for action to occur in Australia also, there was a lot of misinformation, resistance and apathy. Box jellyfish do swim, not float, and while influenced by conditions they have a visual system that can help them navigate around obstacles such as rocks and human legs. There are different types of box jellyfish known in Thailand including the lethal Chironex, Irukandji and Morbakka. On a positive note, the small island of Koh Mak is leading the way and has now vinegar stations installed around it's beaches. Well done and hats off to Koh Mak! A project I tried to install Koh Samui as well but unfortunately it stranded literally in the sand! I hope that many GM's of hotels around the island and people in the local Samui government read this post and although I understand that stating that box jelly fish exist is maybe difficult to 'admit', with just a little bit of prevention and knowledge many potential future box jelly fish victims can be helped efficiently and maybe we can safe some lives. I have many dreams but one of them is to have vinegar stations around Koh Samui beaches! the morning glory plant found along the coast throughout the tropics is at best a mild analgesic and not recommended. once the vinegar has done its job and the threat of envenomation ceased, the pain can last a few hours and can be managed locally with ice packs. once the pain has subsided there is a risk of infection so the sting should be treated much like a burn. depending on the approach you want to take, cortisone based cream, vitamin e cream, calendula, pawpaw etc could all be good in keeping the wound clean, avoiding secondary infection and aiding healing of the scarring. The vinegar will not stop the the venom already in the wound but will immobilize any other stingers and prevent them from discharging. Try to rub the remaining tentacles off your body with a credit card like object, not with your fingers! Last month a surfer was stung by a box jellyfish at Laem Pakarang, Khao Lak. A classic Irukandji Syndrome symptoms endured over 3 days. The victim has fully recovered. 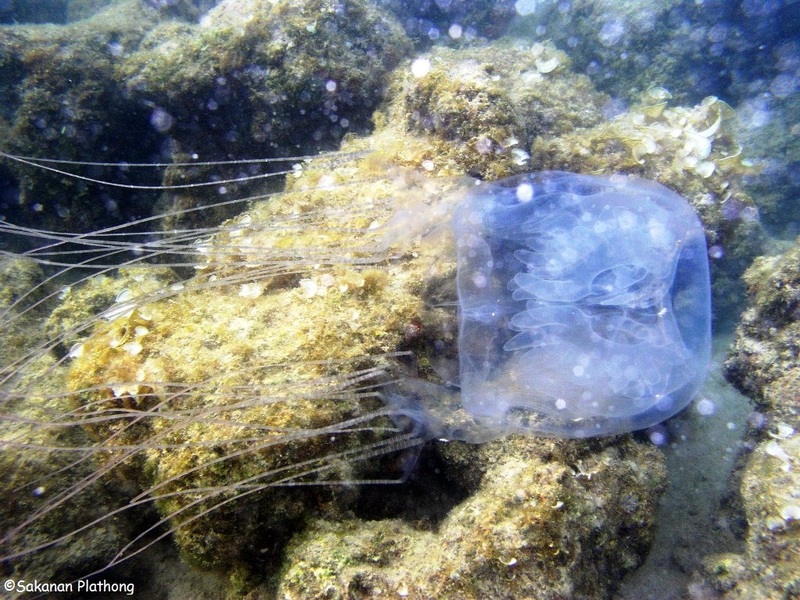 Any reports from box jelly fish sightings in Thailand or the South East Asian region can be reported to DAN Asia Pacific who are keen to collect information about these stings in Thailand. Please contact John Lippmann through their website. 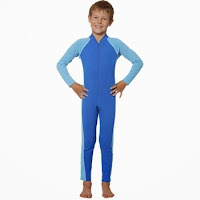 With this information in mind, it may be useful to follow the link below on the stinger suit picture and check out some stinger suit options for children. Spotted a huge jellyfish in the water off a beach in Cambodia. It's dome or top was bigger than a basketball. It's colour brown/bronze. Freaked us out big time as it was right in front of us. No idea if it was dangerous. Would love to know. On shore we then saw dozens of tiny ones about the size of a penny or ten baht coin. Related my sighting to my pal Ronan in Samui. He told me he spotted a similar large one about 50 meters off Lamai beach. Would love to know what these were. Anybody know what I saw? What you saw was probably not a life dangerous jelly fish, although it's sting could have been painful. Without a picture it's difficult to determine what you saw but it doesn't fit the description of a box jellyfish. My three year old son was severely stung by a jellyfish in Subic, Zambales Philippines. When he started screaming, we didnt know what happened. It was only when we closely looked at his leg that we realized that he was stung by a jellyfish. It was transparent. The lifeguard poured vinegar to his leg. He then lost consciousness and turned blue. Heard about this story of your son and am glad that it all turned out well in the end. My name is Dan and I'm 22 and from London and I'm visiting Koh Samui on honeymoon. I was swimming today in the sea within the roped restrictions and I was stung by a jellyfish. I made my way out of the sea and the hotel staff quickly poured vinegar over the wounds. the pain was increasing with time and the wounds, which were on my neck and down my right arm, had quickly become inflamed and looked like a burn as it had bubbled up I believe. the journey to the hospital too about 20nmins and the pain was excruciating and spreading throughout my body and breathing was difficult. I got to the hospital and they treated me well. they applied a lot of vinegar for a considerable amount of time, took a few tests, bandaged the wounds up and gave me a lot of medication! ten hours on from the incident the wounds are still quite painful but also my whole body is in quite a lot of pain, especially my feet and back and there is a general stinging feeling across my chest and belly. does this sound like a box jellyfish sting? if not what do you think it is likely to be? is there anything I can do to ease the pain? any information would be greatly appreciated! Thanks for your information. Without seeing he stings either live or on a picture it's very difficult to say if this could be box jellyfish or not. If you would n't mind, can you please send a picture to my email address camille@idcthailand.net and furthermore I would like to have more information, exact as possible location and date and time of the incident. Hi camille, do the jellyfish appear at koh phangan and koh tao in specific seasons or months or this can occur any time if the year? There's no concrete information available about being seasonal visits of the box jelly fish, theoretically they can appear all year round. There's no need to be scared, just be aware, that should be enough. have vinegar within and reach and use stinger suits and you should be fine, although some people may consider this precaution over the top. Other jelly fish may be around but are in general fairly harmless. Again, nothing to worry about too much, just being aware and taking precaution should go a long way. I was in Coron in the Philippines a couple years back. While wading in the shallow waters, I was stung by a jelly. The tentacle wrapped around my leg, and i was subjected to the most incredible pain I have ever felt in my life. My leg started seizing and I almost fainted from the pain. I had troubles breathing as well. Shortly after the sting, the tentacle marks on my leg turned into big, painful, pus-filled blisters. The skin around the leg turned a deep purple and looked bumpy. The stung area was incredibly painful for weeks. After I returned home, almost 3 months later, my entire body broke out into hives and white bumps. The sting on my leg was the worst, but I was literally covered from head to toe. I couldn't close my hands into a fist due to the bumps being so densely populated on the palms of my hand. --- Do you think this was a box jelly? Also, I am planning to visit Koh Phangan in January. I would really like to avoid going through this again. What do you know about the jellyfish population in that area and that time of year? Thanks for the message and it sounds like a very painful and unpleasant experience. Did you ever contact a doctor at all? I'm checking with some of my contacts to see if they have an idea what this might have been and I will get back on this. Maybe you can supply me with an email address. Regarding Koh Lanta in January, I think that you should be fine but unfortunately there's no known season for box jelly fish in Thailand. I am from Sweden and we are going to visit Koh Samui in February March. On Chaweng Beach there is a big lagoon with no open sea. Do you know anything about box jellyfishes inside the lagoon? Have there been any accidents there? I think I know to what 'lagoon' you're referring, it's at the northern end of Chaweng. As far as I know, there are no reports of box jelly at that part of Chaweng Beach. The only reports on Chaweng Beach of box jelly fish were out on the 'open' beach. I got stung by a jelly fish on Chonmon Beach in Koh Samui 25 September 2013. I was maybe 100 meters from the beach. I am from Australia and know all about jelly fish. I had it wrapped around my neck, arms and back. There was no help on the beach, no vinegar or any other support. My wife drove me to the shop and bought vinegar and morphine for the pain. Never again. Shame on Thailand for being so ignorant. Sorry to hear about your unfortunate incident. Do you have any idea what kind of jelly fish this could have been, did you happen to take pictures of the wounds and if so, would you want to share them with me by email? I've been involved in trying to set up projects along Samui beaches which would allow for easy access to vinegar on the beaches around the island, but have not been able to book great success, although some resorts do have vinegar and signs on their respective beach areas, but it's not a collective action yet. Thanks for getting in touch and hope you are fine by now. Thanks for your message. By the way you describe these jelly fish, they don't sound like they're dangerous. Can you be a bit more precise and let me know on what beach you re observing this. Thanks. Thanks for your input. Most of the information I have comes from DAN or other box jellyfish researchers. They all tend to mention irukanji in a similar vein as box jelly fish. "Irukandji jellyfish differ from other box jellyfish species in that they have the ability to fire stingers from the tips and inject venom. Currently, it is not known whether this is for some special purpose". Twice on the 'irukanji' Wiki page, it's mentioned, 'as with other box jelly fish'. 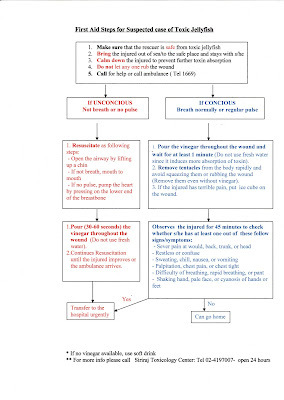 Symptoms of irukanji syndrome are in general delayed by 5 to 120 minutes with an average delay of 30 minutes. Furthermore, when you check the box jelly fish page on Wiki, 'Malo Kingi' is listed as one of the two irukanji species, and as such filed under box jellyfish. Sorry, Camille, having checked a bit I realize that irukandji are indeed usually described as a sort of box jellyfish, yet their effects are different. The effects are very different indeed! I'm a retired National Park Ranger living in Thailand, and spend months on Thai coasts snorkeling (well, I do get out of the water occasionally during those months!). 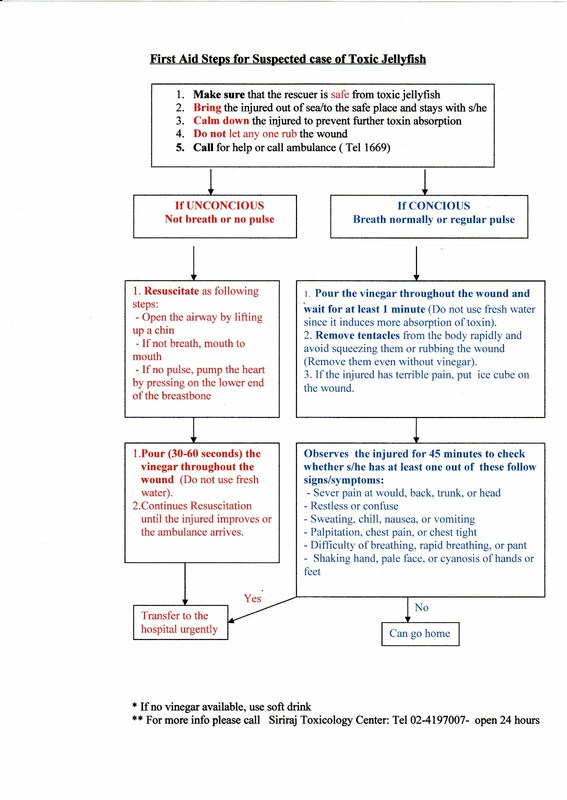 As I was an EMT (emergency medical technician) during the Ranger time, it seems to me that there is a significant risk of anaphylactic shock with jellyfish stings from reading about encounters here. Is that correct? If so, do they sell "epinephrine kits" in Thailand? They could be a lifesaver if anaphylactic shock occurs. Suggestions? Thanks for your input. I'm not really sure about the possibility of anaphylactic shock with jellyfish stings, I would have to ask the experts, and I'm not one of those! I also don't know if they sell "epinephrine kits" in Thailand, a quick check in a pharmacy might solve that questions though. Hi Camille, my husband, son and I are travelling to Thailand next august: Khanom, Kho Samui, Kho Mak and Kho Phangan. I was very excited about it, but since reading about all those fatal encounters with box jellyfish; not so much... They all tell you to be careful, but there is really not that much you can do to prevent being stung, I understand. My question is: how can you be careful? What can you do besides making sure you have vinegar with you and hope that the resort/excursion management knows if they are spotted? Is there a website on which we can check if any have been spotted in the area? And, how great are the chances of being stung? The main question: can we still walk into the sea, not covered from head to toe, and enjoy it? Thanks for your message. In general there's no need to worry but to be aware. The chances of being stung or encounter a box jelly fish in Thai waters are rather slim, but they are out there. In order to be safe you would indeed be advised to carry vinegar with you and have a full body suit. Half a millimeter or one mm is sufficient. I do not know of any websites where a 'current' presence of box jelly are in the region. Thanks Camille! Let's see if I can talk my 15-year old into a lycra body suit... I may be wise. Maybe just the top, at least. That would most certainly be a start, be aware thought that most incidents on beaches involve the legs, since they happen in shallow water. Hope you will enjoy your trip! That's true. I found this website: http://www.jellywatch.org/ Not complete, but a good initiative! Hello Camille. I swim everyday on Haad Salad. I like to swim a bit more than one hour in the morning to keep me in shape. I've heard of the little boy who died in August on Bottle Beach and would like to get something to protect my body in the water. Do you know if I can find something in Samui or Pha Ngan ? I don't wanna buy a triathlon wetsuit as it is crazy expensive. What do you recommend and where to find it near by ? Best will be to get a full body suit. You can get them at some of the dive centers around the island, like Haad Yao divers. I'm currently in khao lak and just need to the docs as now been treated for jelly fish stings. my whole body on fire and covered. bad times man. Please let people be careful. took 2 days to pluck courage to see doc as had no idea what had happened to me! ! Very sorry to hear about your ordeal. Hope you get well soon. If you read this, you can help research if you can send me pictures of the wounds/scars and I will pass them on to specialists. sure ill take pics and send. traumatic time. I just want people to be aware. I was in the water 60 seconds!!! I thought it was mosquito bites and then the red lines began. doctor knew exactly what happened! !! That sounds painful indeed and for sure no fun! Am staying at "the Haven" at Khuk Khak beach. Gorgeous place but am worried about beach swimming because of possible box jellies. Do you know if there have been any sightings or stingings here? Currently there's no news on box jelly from the Khao Lak area. As the article mentions, it's not about being scared but about being informed and knowing what to do. Ideally you cover your boy, arms and legs and make sure vinegar is at hand. The chances of actually encountering a box jellyfish are very low! Thanks for your message. A picture would have been very helpful indeed, to hopefully be able to positively identify the jellyfish. Hope you enjoyed your stay on Samui nonetheless! A young German lady died last night on Lamai beach. Whatever you do do dont night swim and be specially cautious after rain falls as the mix of salty and fresh water attracts them to the surface where they are pushed by the waves towards the shore. Be careful everyone! hello, realize this is an old thread... Ko Lanta shores and oceans flooded today with brown, almost cola colored jellies. globular, circular, almost brain-like, from fist to head sized, some with chunky like tentacles on the underside. are these dangerous? interesting very soon after a full moon. I have pictures to share. would love to learn more. thanks for reading. Without pictures it will be hard to say, although I don't think these are deadly species. Food on wheels, Those were the days! Surat Thani railway station, or rather Phun Phin!